Plantar Fasciitis Specialist - Fishers, IN & Anderson, IN: Lawrence E. Lloyd, DPM, FACFAS: Board Certified Podiatrist: Lloyd Podiatry Group, Inc.
Plantar fasciitis is one of the most common causes of foot pain, especially in your heels and arches. 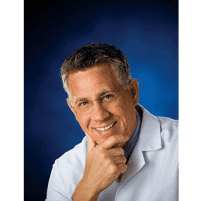 With his expertise as a board-certified podiatrist, Lawrence E. Lloyd, DPM, FACFAS, of Lloyd Podiatry Group, Inc., can help you get through a plantar fasciitis flare-up and even minimize future issues. Start your path to plantar fasciitis relief by requesting a consultation at the Anderson or Fishers, Indiana, locations online. You can also call either location directly. Your heel bones — the largest bones in each of your feet — are connected to your toes by way of your plantar fascia. This long band of fibrous connective tissue is designed to bounce and stretch, much like a bowstring. Between wear-and-tear, injuries, and certain lifestyle factors, your plantar fascia can become inflamed, a condition known as plantar fasciitis. You’re also more likely to suffer from plantar fasciitis if you work in a field where you’re on your feet all day. Nurses, factory workers, and teachers, for instance, all have higher prevalences of plantar fasciitis. You may also find that the symptoms you experience with plantar fasciitis are worse right after you exercise or participate in a sporting event, rather than during it. Because plantar fasciitis symptoms are only going to worsen if you don’t get proper treatment, schedule an evaluation at Lloyd Podiatry Group, even if your pain is minor or infrequent. Is there treatment for plantar fasciitis? Dr. Lloyd and the dedicated team at Lloyd Podiatry Group also offer extracorporeal pulse activation technology (EPAT) treatments right in the office. EPAT delivers waves deep into the tissues of your feet, which triggers a cascade of healing events that repair tissues and decrease inflammation, in an entirely noninvasive manner. Book your plantar fasciitis evaluation at Lloyd Podiatry Group today. Click the online scheduler or call either office directly.